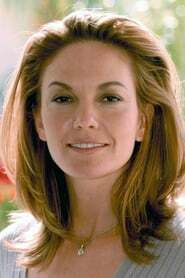 Diane Lane (born January 22, 1965) is an American film actress. Born and raised in New York City, Lane made her screen debut at the age of 13 in George Roy Hill's 1979 film A Little Romance, starring opposite Sir Laurence Olivier. Soon after, she was featured on the cover of Time magazine. She has since appeared in several notable films, including the 2002 film Unfaithful, which earned her Academy Award, Golden Globes and Screen Actors Guild Award nominations. Lane has been married to actor Josh Brolin since 2004. She was previously married to actor Christopher Lambert from 1988 to 1994. Description above from the Wikipedia article Diane Lane, licensed under CC-BY-SA, full list of contributors on Wikipedia. as "Christina " Chris " Cotter"
as "Beth Warden / Clair Everett"